What a great way to spend a Sunday afternoon, drinking some incredible beers. We drove down to South Orange NJ for a tasting of Brooklyn Brewery beers sponsored by the Gas Light Brewery and the Draught Board 15. 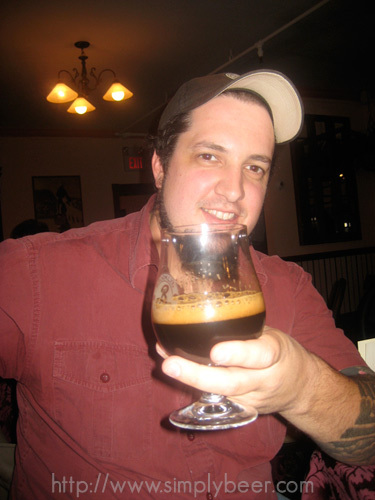 Mike Ferry, the rep from Brooklyn Brewery, came with an arsenal Brooklyn’s specialty beers that would make most beer geeks drool. this beer is that it is 100% bottle re-fermented, meaning the beer is bottled flat(uncarbonated) and yeast is reintroduced to the bottle to create the carbonation. This I already knew, what was interesting, they take these bottles and store them in a climate controlled “warm room” at 77deg for 3 weeks to wake up the yeast and have them do their job, then another 2 weeks in a “cold room” before it is shipped out to stores. Next, Mike poured us a taste of the Local # 2, while the base malts are same or very similar, the #2 introduced dark candy sugar and local Honey to make a much darker beer. Like its sister beer, this beer is also 100% re-fermented in the bottle. I really liked this beer, much better then #1, but I still need to do my “exhausting” study with a full 750ml bottle before I’ll officially rate it. 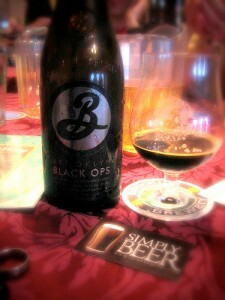 Continuing into uncharted territory was a tasting of the Brooklyn Black Ops. Like the Dark Matter, this Stout had been aged in Woodford Bourbon Barrels and judging from the taste, I’d say a very long time, and then bottle re-fermented with champagne yeast. As with the Dark Matter, I’d suggest drinking this one just slightly chilled, around 55deg, there are so many flavors in this beer you’ll lose some of the complexity at the colder temps. This beer was dominated by the bourbon, but was also full of roasted malt, coffee, chocolate and vanilla. This too was an exceptional beer even though I thought the bourbon was a bit to strong and started to mask the other flavors. We wrapped up the tasting with the Brooklyn-Schneider Hopfen-Weisse. 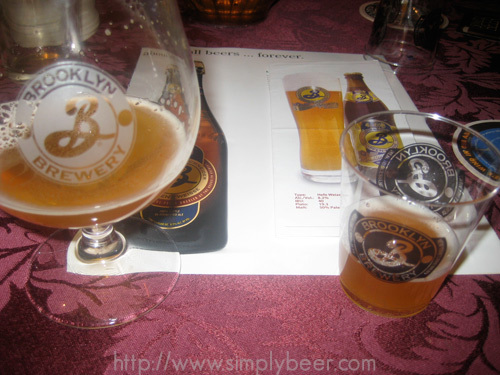 The Brooklyn-Schneider is the version brewed in the us, using American hops (Amarillo, Cascade and Palisade). But, Mike was also nice enough to bring us the Schneider-Brooklyn Hopfen-Weisse, which is version Brewed in Germany using the German Hops. I was amazed at how different these two beers were. Some of us did a side by side tasting, which was really cool. The Brooklyn version was much more aromatic with strong notes of honey, while the German version was a lot more subdued. Both Hopfen-Weisse’s finished with a nice spicy peppery test, but the Brooklyn version was a sweeter and the spice a bit subtler while the Schneider version was much drier. This was a great event, Mike Ferry from Brooklyn Brewery was very knowledgeable about the beer he brought for us. I’m glad we got to sample some non production beer, really made this a fun event. Also a special thanks to the Gas Light Brewery for hosting this event. Happy Holiday’s, Festivus, Hanukkah, and Christmas!!! 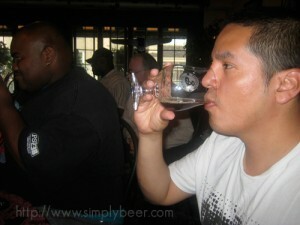 You really got to taste some amazing beers! I’m very jealous of the Matter. Sometimes they over do it with the oak aging, but it’s no surprise Brooklyn and Garret Oliver would get it right!